Other tools are available to meet the unique needs of our customers. Each of our software solutions can be purchased as separate tools, but they offer the most value when used together. 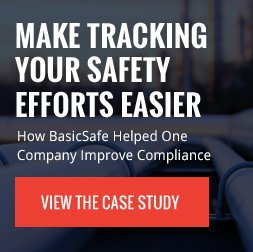 Ensure employees always have updated information by digitizing important safety procedures. Protect employees from hazardous energy during equipment shutdowns and maintenance. Keep track of all incidents and near misses and create OSHA 300 and 301 forms automatically. Make your training records searchable by name, location, job function and more. Stay on top of all your sites. Upload and store audits from the field or create your own. Keep safety data sheets in one place where they’re easy to update and access. Stop wasting paper on policy manuals no one reads. If it’s important, it should be online. Ensure compliance with OSHA’s 14 elements of PSM with this interactive tool. Hold employees accountable by assigning tasks, setting deadlines and sending reminders. Meet important compliance deadlines by scheduling recurring reminders. 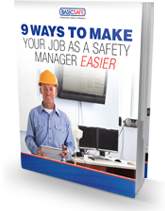 Ensure employees are qualified for hot work, confined spaces and other hazardous conditions.